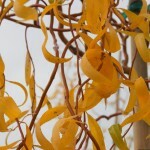 A fast growing rounded tree with twisted branches and leaves. 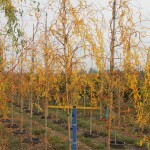 The older branches are gold, young stems are scarlet. 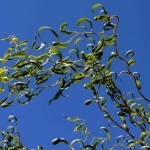 A form of corkscrew willow, the branches may be used in floral arrangements. It does best in full sun and adapts to many soils. Prune as needed to promote the desired form. Grown both as a multi-stem or in tree form.